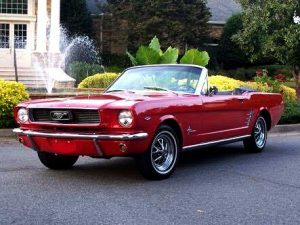 A Mustang wedding car is the quint essential wedding transportation especially for beach weddings. 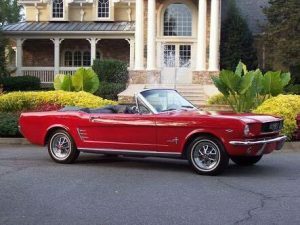 Enquire now with us as to how you can drive in style in a fully dressed, lovely red 1966 classic muscle Mustang convertible! When you book with Nuance photography and Videography you can ask for exclusive use of our personal car. This offer is limited to Nuance clients only. 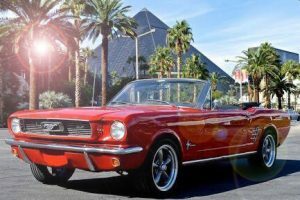 Our Mustang makes for amazing photos and on hot sunny days, arriving at your ceremony with the top down is the perfect way to ‘make an entrance’. Ask us for other benefits to booking ‘Nuance’ such as exclusive access to waterfalls on private land and various lakes and other awesome photo opportunities. We take loads of pleasure delivering the car to you in top condition*, sparkly and fresh, dressed with ribbons and flowers. If the lads would like to use the vehicle also, we can work with your time schedule on the day to ensure we arrange transport for all. Once you have booked with us we can work together to make the transportation side of things flow easily. For excellent ideas how to use the Mustang for wedding photo feel free to talk to us. 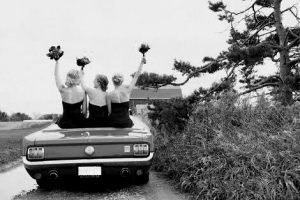 We have loads of great ideas and access to other cars if you are wanting a fleet of Mustangs to transport a large bridal party. *subject to availability and weather conditions.